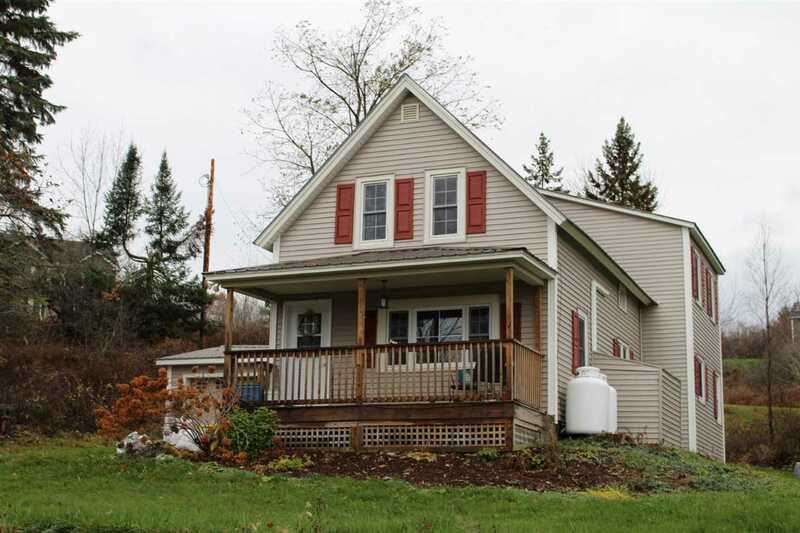 Many updates on this country farmhouse including roof, windows, siding, heating, bathroom, hot water tank, many electrical updates, efficiency updates, and more! Economical heat pump heating/AC units and heat pump hot water heater. Oversized 2 car garage and 16 X 20 insulated outbuilding with loft - perfect for the hobbyist or great storage. Large lot with seasonal views of Mansfield and Smuggs. Convenient location - 15 minutes to St. Albans, 10 minutes to I89, 5 minutes to Route 128. Room 1 Dimensions: 14&apos;2 X 15&apos;8"
Room 3 Dimensions: 11&apos;4" X 12&apos;6"
Room 4 Dimensions: 10&apos;5" X 13&apos;4"
Room 5 Dimensions: 10&apos;4 X 13&apos;7"
Room 6 Dimensions: 11&apos;6" X 12&apos;6"
Room 7 Dimensions: 8&apos;6" X 12&apos;6"